So today I walked down the mountain after swearing I would never ever do it again after last year. But God wIth His wonderful sense of humour brought me back. And then just to show He hears my prayers, provided this lovely horse to ride back up. 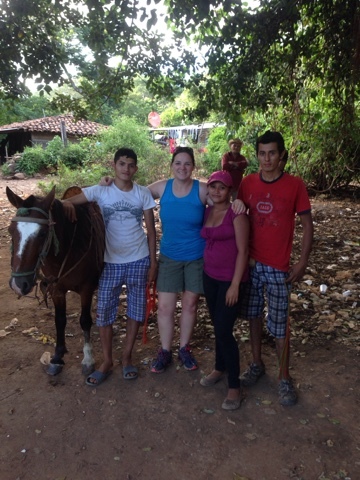 I can now add horseback riding (mountain style) to my El Salvador experiences! Awwwhhh, love this! You were riding in style, my friend! Love God's provision....hugs and prayers! Yay for the horse provided!! You go girl. Yay for four-legged friends! Thanks for sharing (and the picture too! Good to see you aren't melted from the heat!) ... Love ya!